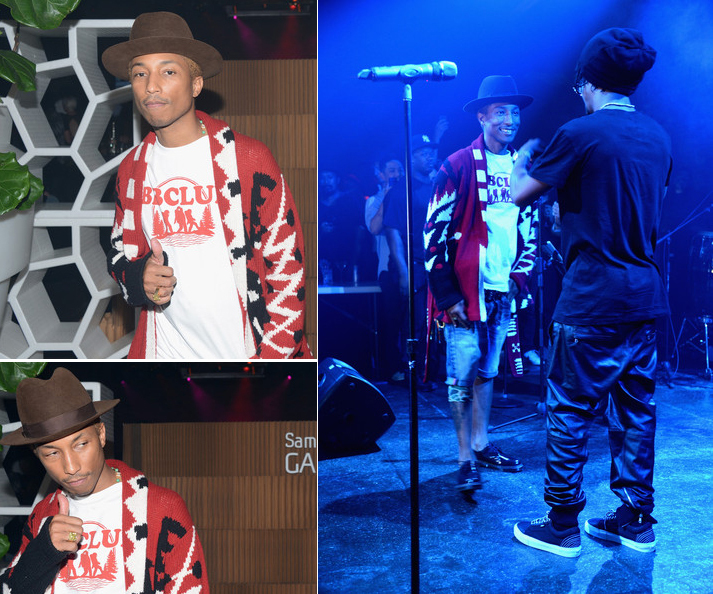 Everything Pharrell Williams does, he does with his own unique flair. In NYC we ran into him at the Samsung Galaxy and Lupe Fiasco event, and he was rocking the freshest red shawl cardigan sweater. Anyone able to positively identify this sweater?